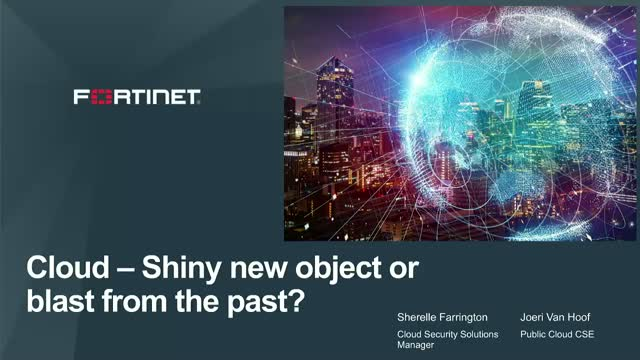 Cloud - Shiny New Object or Blast from the Past? As the scale and complexity of cyber attacks grows faster than ever, new ways must be explored to fight back. Using machines to perform tasks such as malware analysis and real-time anomaly detection means a faster time to protection, frees up analyst time for more advanced research, and marks a big step forward in the battle against cyber crime. This session discusses how you can leverage machine learning and other artificial intelligence techniques to enhance and extend your existing detection methods. Title: Cloud - Shiny New Object or Blast from the Past?